In 1989, Evgeny Imyanitov graduated from the I.P. Pavlov First Leningrad Institute, specializing in general medicine, and started working at the N.N. Petrov Institute of Oncology (St. Petersburg). In 1992, he defended his thesis, then he studied at the Max Planck Institute of Biochemistry (Munich) for three years. Since 2001, he is a Doctor of Medical Sciences, since 2004 – a Professor, since 2016 – a Professor of the Russian Academy of Sciences, since 2017 – a Corresponding Member of the Russian Academy of Sciences. Prof. Imyanitov heads the Department of Tumor Biology at the N.N. Petrov Research Institute of Oncology, as well as the Department of General and Molecular Medical Genetics at the St. Petersburg State Medical Pediatric University. Prof. Imyanitov explores the molecular mechanisms of cancer, as well as various aspects of personalized medicine in oncology. The team headed by Prof. Imyanitov has made significant contributions to the research of hereditary tumor syndromes. In particular, Prof. Imyanitov demonstrated the “founder effect” for Russian patients with hereditary breast and ovarian cancers; these works have significantly simplified the diagnosis of this disease and are widely implemented it in the Russian Federation. In 2012, he discovered a new gene for hereditary breast cancer – BLM. This gene is already included in the standard test systems designed to diagnose hereditary cancer syndromes. 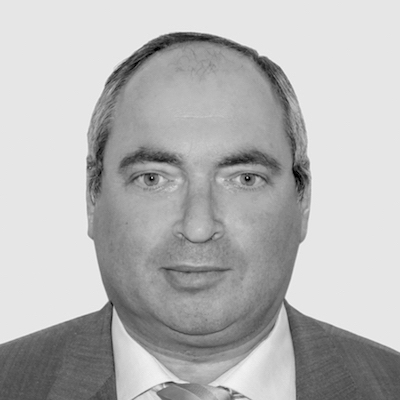 Prof. Imyanitov’s work includes the development of molecular methods to improve the clinical and economic efficacy of anticancer drugs use. Clinical trials have been conducted, showing the unique sensitivity of BRCA1-associated carcinomas to inexpensive cytostatic drugs, cisplatin, and mitomycin. Another work has been done to optimize the use of expensive drugs, in particular, EGFR kinase inhibitors. It was established that a pronounced clinical effect from this group of drugs is observed only in relation to those patients whose tumors contain an activating mutation in the EGFR gene — their number is no more than 6-7% of all patients with lung cancer. On the basis of these studies, EGFR testing was introduced everywhere in the country, which made it possible to identify carcinomas that are sensitive to the treatment and rationally prescribe tyrosine kinase inhibitors. Under Prof. Imyanitov’s leadership, new methods of molecular genetic analysis of archival biological material were developed, which allowed using DNA and RNA tests in the routine clinical practice. Prof. Imyanitov has authored more than 300 publications, with more than 160 articles published in international scientific journals; six are monographs. Prof. Imyanitov’s papers have been cited more than 5,000 times. Under his guidance there were more than 30 theses defended (among them 5 were for DSci).